Despite the high prevalence of NAFLD, there is an overall low awareness of this disease among both providers and patients. By: Jessica Tuohy, PhD, Product Manager, Biomarkers, Diapharma Group, Inc.
Non‐alcoholic fatty liver disease (NAFLD) is a growing global epidemic and the most common cause of chronic liver disease in all Western countries. NAFLD refers to a spectrum of conditions and it is defined as the excessive accumulation of fat in the liver not caused by heavy alcohol consumption. 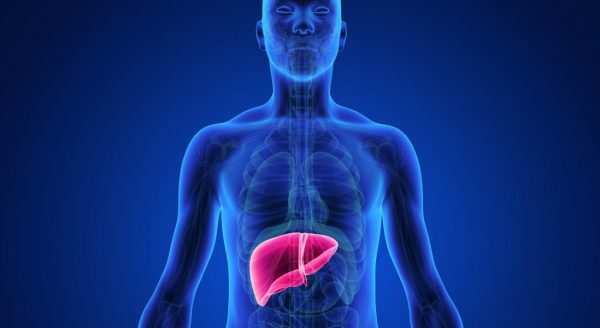 Patients with non-alcoholic steatohepatitis (NASH), a more advanced form of NAFLD, are at an increased risk for liver-related mortality and cardiovascular disease. NAFLD affects a considerable share of today’s global population: the prevalence of NAFLD worldwide is estimated to be 20 to 35 percent and of those, 10 to 30 percent have NASH. There are currently no approved drug therapies for NAFLD or NASH and many clinical trials are underway to address this unmet need for pharmacologic treatment options. One of the biggest challenges facing pharmaceutical companies involved in NASH clinical trials is the cost‐effective and timely enrollment of study subjects. This is partly due to the large number of trials that are actively recruiting subjects. Adding to this is the difficulty of finding patients with confirmed NASH. Despite the high prevalence of NAFLD, there is an overall low awareness of this disease among both providers and patients. Patients are often asymptomatic and even those with a high likelihood of NAFLD are rarely referred to a specialist for a formal evaluation to confirm the diagnosis. Furthermore, once patients have been recruited to participate in a treatment trial, there are additional hurdles to identify those that meet the requirements for study enrollment. Subjects enrolling in NASH clinical trials are frequently required to have a NAFLD Activity Score (NAS) of ≥4 and a fibrosis stage of F1‐F3, as assessed by liver biopsy. Up to 50 percent of screened subjects will not meet these eligibility criteria. This high screen failure rate has been reported by several of the published NASH studies, including PIVENS, FLINT, GOLDEN, and CENTAUR. The large number of ineffective biopsies adds significantly to the cost and duration of clinical trials. Consequently, strategies to reduce the screen failure rate are a high priority for clinical research organizations (CROs) and the companies developing NASH drugs. One approach is to prescreen recruited subjects with serum biomarkers or imaging tests prior to performing a biopsy, with the goal of enriching the study population that meets the required features for enrollment, ie. NAS ≥4 and F1‐F3. A ballooning score of ≥1 is one of the inclusion parameters for most NASH clinical trials. However, previous studies have reported that 20 to 40 percent of the NAFLD population do not display any ballooning (ballooning score of 0) by biopsy, which makes these individuals ineligible for enrollment. Therefore, in the context of NASH clinical trials, identifying and eliminating subjects that will likely have no ballooning prior to performing a biopsy would decrease the number of unproductive procedures. Ballooning is a form of liver cell injury that is characterized by the swelling of hepatocytes as a result of damage to the cytoskeleton. Ballooned hepatocytes can be identified by the loss of immunostaining of the intermediate filaments cytokeratin 8 (CK8) and cytokeratin 18 (CK18) in their cytoplasm. In addition, ballooning is associated with elevated levels of caspase‐cleaved fragments of CK18 (cCK18) in serum. Circulating cCK18 may thus be useful as a non‐invasive marker for hepatocyte ballooning. Serum levels of both CK18 and cCK18 have also been shown to correlate with steatosis and inflammation in NASH. Finally, several studies have reported that both forms of CK18 are markedly higher in serum samples from patients having NASH than those without NASH. In addition to its use for prescreening subjects, CK18 is currently included as an endpoint in over 60 clinical trials with a NAFLD/NASH indication. An AASLD‐FDA Joint Workshop has recommended a decrease in markers of hepatic injury or cell death, such as CK18, as a secondary endpoint for early phase NASH trials. These early phase studies are generally of limited duration (12 to 18 months), and histological endpoints may be difficult to meet in this timeframe. CK18 may therefore be useful as a surrogate marker to demonstrate response to treatment, and serum cCK18 levels have been shown to correlate with improvement in histology in at least two published Phase IIb trials. In summary, in NASH clinical studies, CK18 assays could be valuable tools for qualifying subjects recruited to participate in a treatment trial. Prescreening study subjects with CK18 assays may therefore result in time and cost savings. Furthermore, CK18 may be useful as a surrogate endpoint to show efficacy of treatment in NASH drug studies, especially in early phase trials where histological assessments are not feasible. For more on this topic, register for Diapharma’s upcoming webinar, titled: Biomarkers in NASH Drug Development: Using Cytokeratin 18 as a Secondary Endpoint in Clinical Trials.